No no dear readers, there is no new man in my life – the Rik man is still very much in the picture. 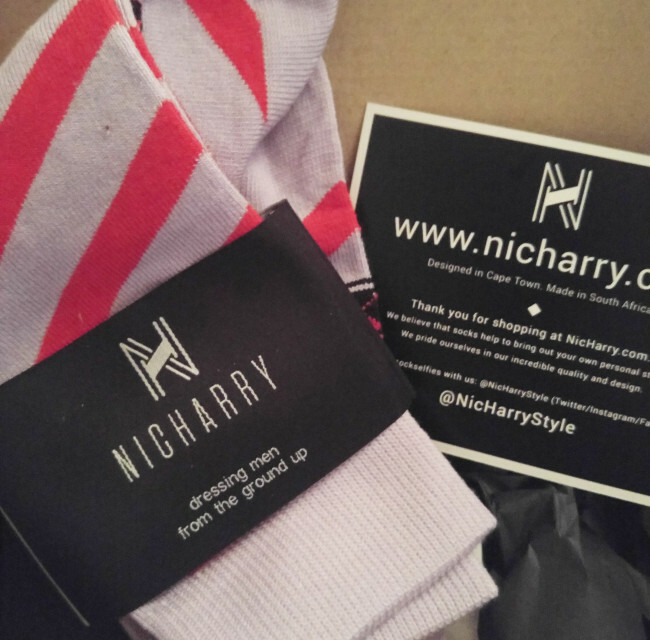 Nic Harry is all about socks! And socks for dudes no less. You may be asking me why I (a woman) am so obsessed with socks for men, well I’ll tell you why, it’s because it has made the BEST present for the Rik man. It was Rik’s birthday last year and I wanted to get him something cool, fun and different. I spotted Nic Harry on social media (Instagram I think …) and thought it was a really cool concept. Funky socks (bamboo nogal) that you can buy online (I’m a sucker for online shopping) and they’ll be delivered to your door. Having only 1 car between Rik and I, it sometimes makes shopping when it needs to be a surprise a little difficult. So online shopping for the win in my life. About a month before Rik’s birthday I went to check out the website to see if I could pick something that he’d like (read Mr Fussy). I spotted that you could select a pair of “surprise” socks delivered once a month for 12 months. That certainly grabbed my attention! Who wouldn’t love a present that lasted an entire year?! I placed the order immediately, expecting delivery in a while, but lo and behold the socks arrived 2 days later. It was an agonising few weeks waiting to give him the pressie because the packing was too lovely to open and spoil the surprise. Needless to say the present was a huge hit and the sock delivery is anticipated every month. We’ve been receiving the socks for almost 6 months and each pair has been a delight. Funky stripes, colourful dots, patterns and pops of colour. This certainly is a fabulous way to brighten up your man’s wardrobe, they even ensued a sock swap in the middle of Beerhouse on Long Street. The service is fabulous, the products are fab (rave reviews from the sock wearer and as a side note they wash really well) and all in all one of my favourite finds. If you want to spoil the man in your life (or yourself) then check out Nic Harry today – you’ll find their website here. This entry was posted in Luv and tagged funky, luv, nic harry, online shopping, presents, Rik.